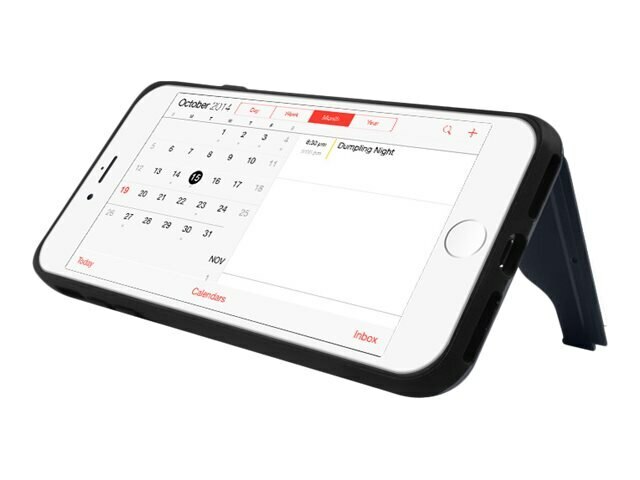 Protect your iPhone 7 with this dual layered case. A soft flexible inner case will prevent scratches on your phone, and a black hardshell exterior will protect your phone from drops and bumps. It also features a kickstand for horizontal view.